Picking up the pieces of a late loved one’s life is something no one looks forward to. Many businesses know this and will do what they can to ease you through the process. Then there’s Bank of America. Consumerist reader Matt is still in college but he’s already having to deal with the loss of his mother, who passed away on Oct. 1. Since then, he has been going through the process of notifying credit card companies, utilities, and everyone else. The first call ended after the associate we were speaking to told us that the only person they could talk to was the person who was listed on the mortgage: my mother. Since she was deceased, that’s obviously not possible, so we explained “death” to the person we were speaking to. They said they had to talk to my mother, we decided it was hopeless, and gave up. We later got on the phone with someone else who said to send them a copy of the death certificate. They lost that one. Then they lost the next one. Then they lost the third, hand-delivered, death certificate. They finally managed to get the death certificate to a filing cabinet on the fourth try. They sent a letter acknowledging they had received the death certificate, but still they asked to speak with the person on the mortgage. Somewhere around the fourth attempt at sending the death certificate, BofA’s internal debt collectors started calling for their missing mortgage payments. After days of these collection calls, Matt finally got someone on the phone who appeared to be the top of the department. A BofA attorney eventually contacted Matt to ask if he was feeling “harassed” by the collections department, and if he would like to place a Cease & Desist order on them. “I happily said, ‘DO THAT. 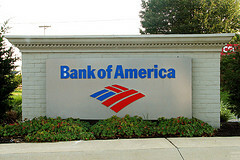 PLEASE.’ The order was placed 24 hours after that call,” says Matt, who hasn’t heard from BofA collections since. But that wasn’t the end of the nightmare. Thirty days after his mother had passed, Matt sent BofA a letter of testamentary to demonstrate that an executor for the estate had been named. “Again, they lost three of them,” he writes. “Again, only one department knew about them. After a conference call last week, we finally managed to get through to some managers. One of the managers gave us his whole name and put us on hold, but we got disconnected. When we got back on the phone with another manager, we told that manager the name we were given, but they ‘couldn’t find any records’ of the person we spoke to. By Matt’s total, that brings the total to 6 lost documents, one Cease & Desist order, a misplaced (or fictionally named) branch manager, and 8 weeks that should have been spent mourning his loss rather than re-sending the same paperwork over and over. Matt says he’s already put in his vote for next spring’s Worst Company In America tournament. We doubt he’ll be alone.